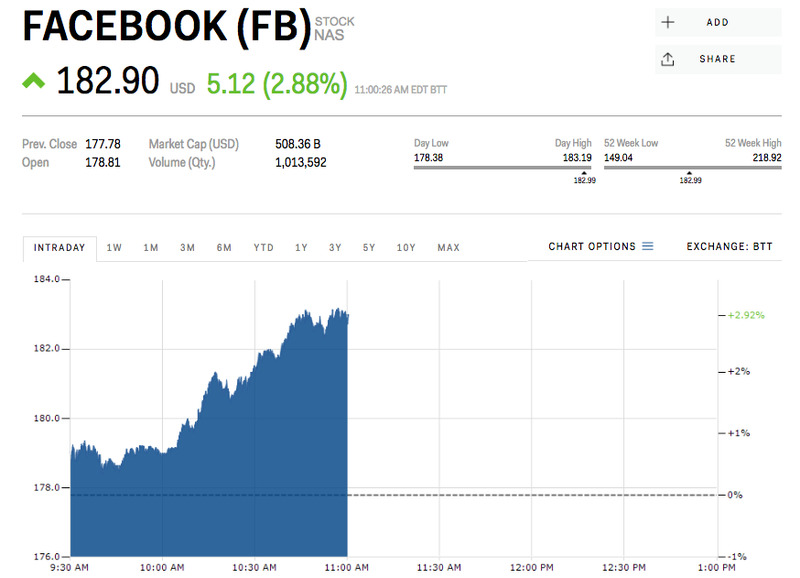 Shares of Facebook spiked more than 2%. Facebook’s request could help it increase user engagement after its disastrous earnings report last week. Follow Facebook’s stock price in real-time here. Facebook has reached out to several major Wall Street banks for customer financial data including credit card transactions and checking account balances,The Wall Street Journal reported Monday. And while the move could help Facebook’s user engagement numbers – which were negative for the first time in its history has a public company last week – it comes with a slew of privacy concerns, exacerbated by the scandal surrounding data firm Cambridge Analytica in Spring 2018. “Like many online companies, we routinely talk to financial institutions about how we can improve people’s commerce experiences, like enabling better customer service … an essential part of these efforts is keeping people’s information safe and secure,” said the spokesperson. A further Facebook foray into finance could also help it compete with the likes of upstart tech firms like PayPal’s Venmo, Zelle – a Venmo competitor launched by banks themselves – or the hoard of personal finance sites and apps that have exploded in recent years. Currently, users can send and receive money through Messenger via PayPal, and MasterCard customers can use their card via Messenger with certain retailers. Banks have been rapidly releasing new products to keep pace as well. JPMorgan in July launched “Finn,” an online-only bank built for millennials. Competing Goldman Sachs has invested in Circle, a cryptocurrency exchange that boasts more than $US2 billion in trades per month.